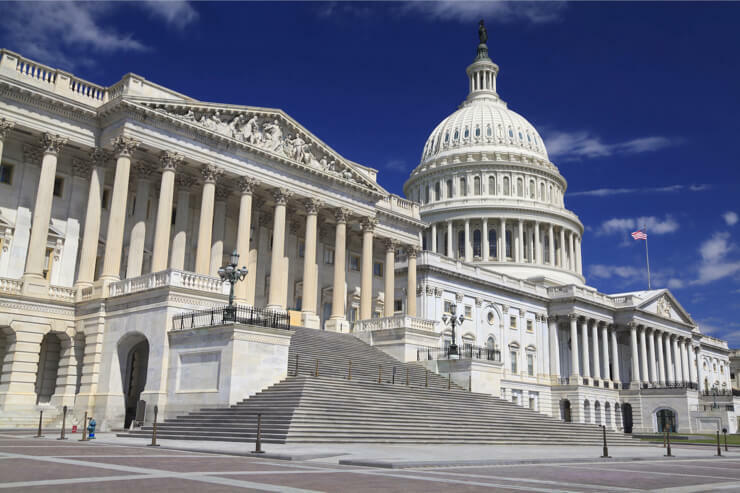 This Thursday morning, assuming it doesn’t get postponed (again), a U.S. House of Representatives subcommittee will meet to chat about regulated sports betting. Since the Supreme Court reversed PASPA on May 14, clearing the way for individual states to legalize sports betting, Delaware, New Jersey, Mississippi, and West Virginia have opened sportsbooks and Rhode Island and Pennsylvania have both passed laws and are weeks or months away from taking bets. Business is booming — particularly if you consider that this business largely didn’t exist outside Nevada a few months ago. But this meeting on Thursday, in which federal oversight of sports wagering will surely be examined, is a potential monkey-wrench moment. You can’t please all the people all the time, and as long as there are powerful people who think they can make more money another way, the rules we’re currently operating under are vulnerable to amendment. It would be hyperbole to call this a make-or-break moment. But it’s certainly no time for negative PR for sports betting. And that’s why FanDuel’s decision this past Thursday, exactly one week before the House of Representatives’ powwow, to give out free money to customers has implications that go well beyond the company’s coffers and a few players’ bankrolls. For a few days, FanDuel Sportsbook at the Meadowlands in New Jersey and the legal sports betting industry were in PR hell. Due to a glitch, FanDuel posted odds late in Sunday’s Broncos-Raiders game paying 750/1 if Denver won, and a few attentive bettors pounced on it. The Broncos, who were supposed to be -600 favorites at the time, made a chip-shot field goal and won by a point, seemingly turning Anthony Prince’s $110 into $82,500, and producing similar payouts for a handful of other gamblers who didn’t get as much attention. Cliff’s notes version of what followed: FanDuel cited its rules about erroneous odds and said Prince’s bet should return $128, declined to make the high-five-figure payout, and offered Prince $500 and the booby prize of Giants tickets; Prince turned them down, threatened to sue, and went to the press with his story; and some corners of the media, perhaps not understanding the rules, treated it like a scandal. Then the twist: FanDuel shocked almost everyone by throwing money at the problem. Prince got his $82,500, other bettors got their payouts, and the sportsbook even made a promotion out of it, promising to give $1,000 each to 82 randomly selected bettors with FanDuel Sportsbook mobile accounts. Considering FanDuel spent $74.5 million on advertising in the first nine months of 2015, it’s safe to say the DFS powerhouse isn’t going to feel a couple hundred thousand bucks in giveaways. And for that low, low price, the company gets (a) great PR, and (b) more publicity for its new sportsbook than any TV commercial on an NFL Sunday could buy. POLL: A sportsbook makes a ridiculous pricing mistake. You catch it and walk up to window at the sportsbook and act on the odds displayed. Your bet wins. Should they be forced to pay up? So FanDuel gets a huge image boost. But is it short-term thinking that could come back to bite them? The company made clear in its statement that this is not to be interpreted as precedent setting and in all future situations like this, bets will be paid at their “true odds.” (In the UK, the standard policy is to void all bets made at obviously incorrect odds.) Since bettors won’t typically know what the “true odds” are, they should, in theory, be inclined to just stay away when they see funky odds. But that’s assuming they heard about this incident and understand how it played out and why. Those who didn’t will be pissed. Still, the media, one hopes, will get it right next time, instead of posting clickbait headlines and tweets and accusing FanDuel of running a scam. And FanDuel’s public relations arm, which dropped the ball initially on this one, will, one hopes, get out in front of the story next time. Could you imagine what this Thursday’s hearing would have been like if FanDuel hadn’t rolled over? If the public was crying “ripoff” and there was a perception that regulated markets were no more trustworthy than sites ending in “.ag”? For the politicians who want federal oversight, who are in the pockets of the sports leagues seeking so-called “integrity fees,” or who for whatever reason might seek to undo the reversal of PASPA, the grandstanding opportunity would be irresistible. Now, all they have to holler about is the existence of glitchy lines. The fact that such errors exist is not good, of course, but it’s hardly the biggest cyber threat our politicians need to concern themselves with in 2018. Among the experts scheduled to testify on Thursday are Jocelyn Moore, a representative of the NFL, and Jon Bruning, representing the Coalition to Stop Online Gambling. There will be points of counterbalance, most notably from the American Gaming Association’s Sara Slane. Still, proponents of regulated gambling should brace themselves now for some facepalm moments. We’re almost exactly three years removed from the “scandal” that stifled the momentum of the DFS industry, in which a DraftKings employee won on FanDuel and basically got labeled the new Ivan Boesky. There’s no doubt that the wrong controversy at the wrong time can do lasting damage to a business. This week is undoubtedly the wrong time for a sports betting scandal. Whether that played into their thinking or not, the brass at FanDuel deserve credit for not letting this one escalate.